A project with a very special place in my heart marks its 25th anniversary this year: The NAMES Project AIDS Memorial Quilt. I was introduced to The Quilt while in college at Bowling Green State University and soon became a volunteer for the project when sections of The Quilt would be shown on campus. Words cannot describe the amount of honor and emotion I felt to be part of this experience and how humbling it was to be surrounded by such love, sadness, loss, humor, life, grief, and celebration stitched, painted, glued, ironed on, and uniquely created on each of the 3 x 6 foot panels in memory of a loved one’s life who had died of AIDS. It was overwhelming. My senior year at BGSU I dedicated to volunteering and interning at a community AIDS service organization in Toledo, Ohio called David’s House Compassion that provided a continuum of services for individuals living with HIV and AIDS, including residential housing, case management, respite, home visitation, and more. I have many special memories of spending time at David’s House (making and eating Saturday night candle light dinners), making home visits to drop off food, providing respite to family members at the hospital to stay the night with their loved one, or helping out and making some art in a support group with children whose parent had died from AIDS. I learned so much from everyone I met at David’s House about life, death, compassion, gratitude, and respect. There were also sad and difficult moments. Several of the women and men that I visited or spent time with throughout my work at David’s House died before I finished my internship. This experience of multiple loss was important for me to process through journaling, supervision, as well as spending one night on the floor of my small dorm room working on a fabric panel for the AIDS Memorial Quilt in memory of these seven individuals: Arnetta, Bob, Frank, Jack, John, Nancy, and Neshelle. I then mailed my panel to the NAMES Project in the Spring of 1995 to honor, celebrate, and recognize their lives and the significant impact they each left on my life. 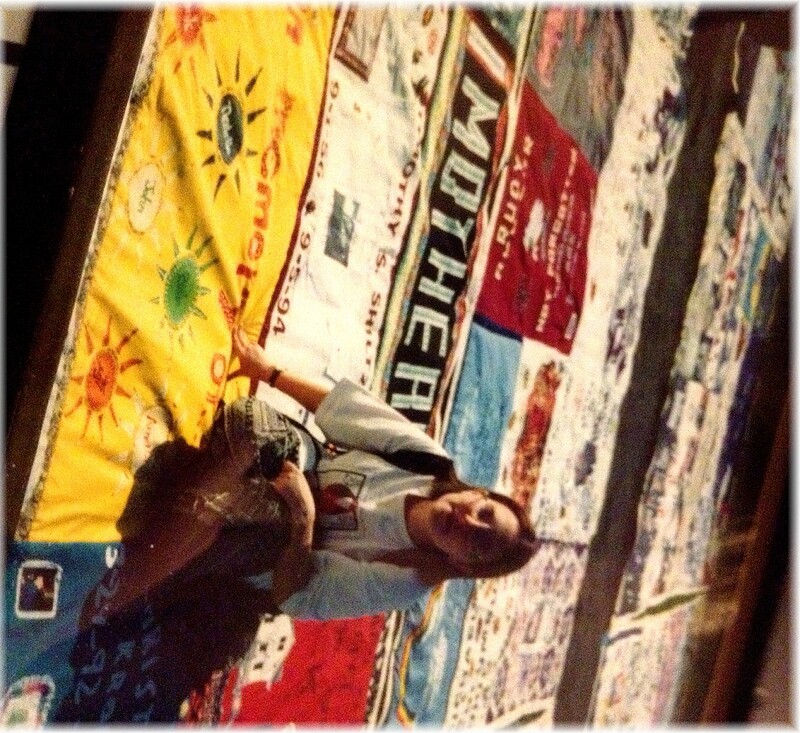 In the Fall of 1996, my brother and I decided to travel to Washington DC to view The Quilt displayed in its entirety at the National Mall over three days. To my surprise on the train ride from Cleveland, the stop in Toledo (to pick up my brother) also included picking up some of the staff I knew from David’s House, as well as surviving family members who were also in route to see the display and had panels attached to the same block my panel was sewn into. There were so many people who attended this display, which stretched from one end of the Mall to the other with a sea of fabric. Again, the visual surroundings, emotions, and sensory experience was overwhelming. It is a moment I will always remember. In June 2012, The Quilt was shown throughout the DC area to mark the 25th Anniversary in various institutions, centers, and organizations serving as hosts. The Quilt has become so large, several locations were needed to accommodate the space needed to show it. The panel I created was on display as part of Smithsonian Folklife Festival in late June. Beginning July 21 through July 25, The Quilt will be on display again in its entirety through rotated stages on the National Mall in Washington DC , as well as throughout 50+ venues around the DC Metro area. For those who cannot attend this special event, this year’s anniversary also launched the application and site AIDS Quilt Touch, which allows locating panels online through keyword search of an individual’s name and will track panels as they travel to other venues for future displays. I was able to search for and locate (on the first try!) the block that my panel is a part of through the AIDS Quilt Touch website, as well as discover its recent showing at the Smithsonian Folklife Festival. 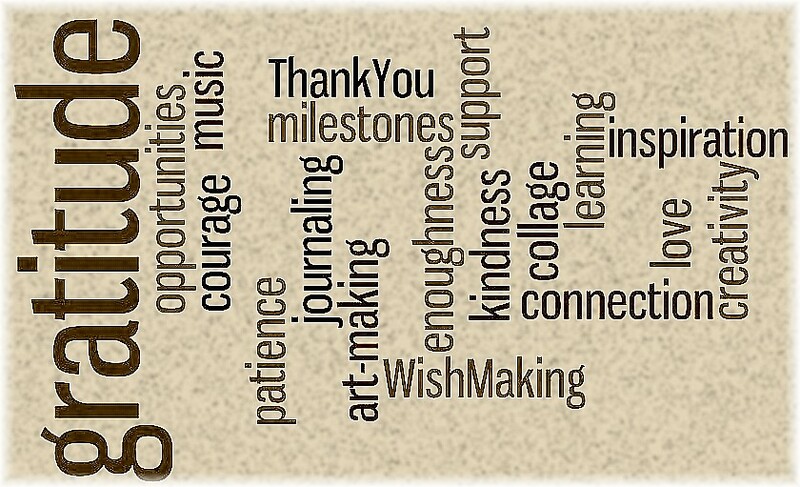 What a helpful resource through the use of technology to connect this community together, as well as create a virtual, worldwide environment for memorializing and still much needed awareness through the power, stories, and history of The Quilt. Learn how to host a display of The Quilt in your community here, check out upcoming displays for viewing, or how to contribute a panel.